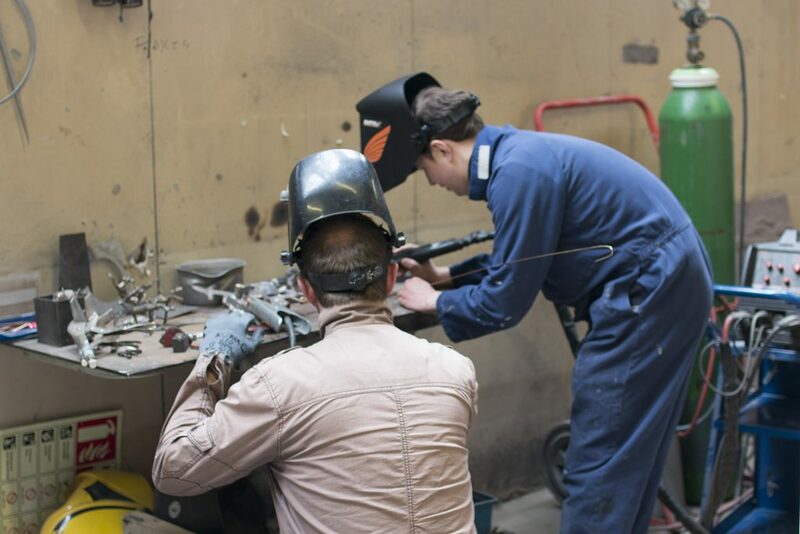 This three hour practical session will introduce you to MIG and TIG welding and give you practical, hands on instruction. 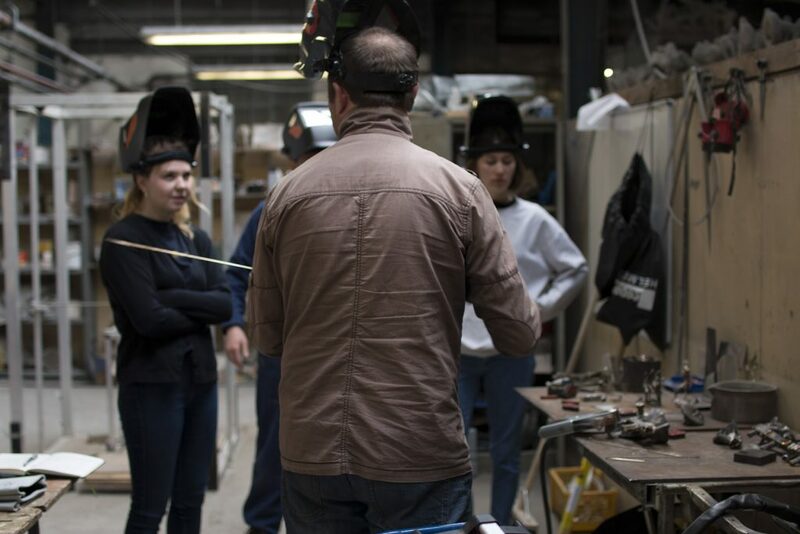 Led by artist and welder Paul Kennedy and hosted by The Sculpture Foundry, this three hour taught session gave a practical introduction to the basics of MIG and TIG welding. 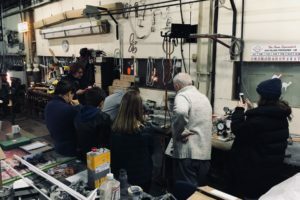 During the workshop we learned about the differences between MIG, arc, gas and TIG welding; what you can and can’t weld, what process best suits what material and how to safely use them. 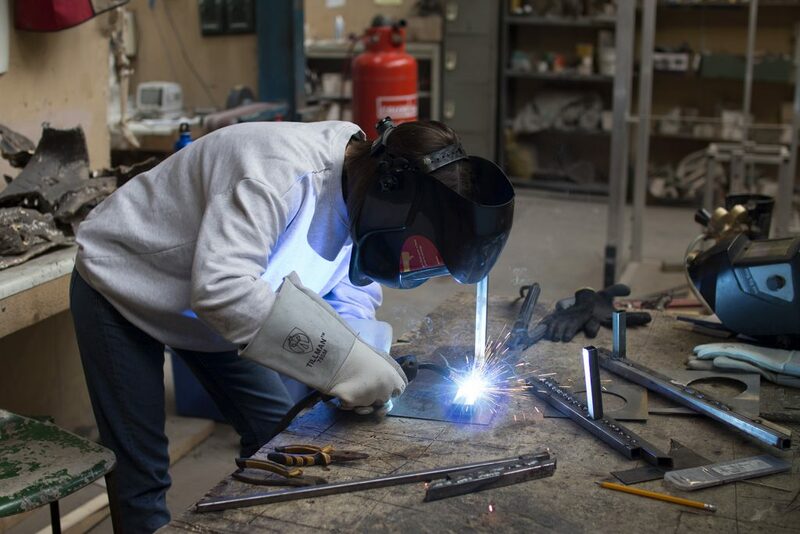 We were introduced to all the basics, from how to set up and maintain welding equipment, to how to prepare your work for welding and how to achieve good, consistent welds. 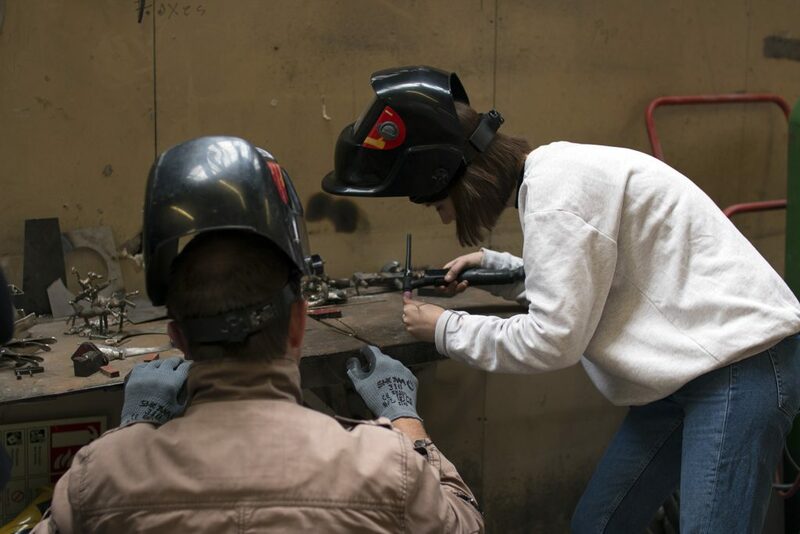 Participants also had an opportunity to put the theory into practice and get hands on, trying out both MIG and TIG firsthand. 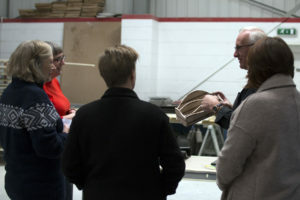 This workshop is subsidised by Arts Council England and designed for artists, designers and creative makers. The session will be delivered to a small group of three participants, so you’ll have plenty of opportunities to ask questions and benefit from 1-2-1 technical instruction. Please note you must be aged over 18 to attend and take part at your own risk. Following a degree in Sculpture, Paul Kennedy spent four years working at Morris Singer Art Foundry in Hampshire. In 2015 he established his own foundry which is now based in Acton Round in Shropshire. Specialising in the lost wax process he has a particular interest in patination and works with artists to create limited edition and one off pieces. 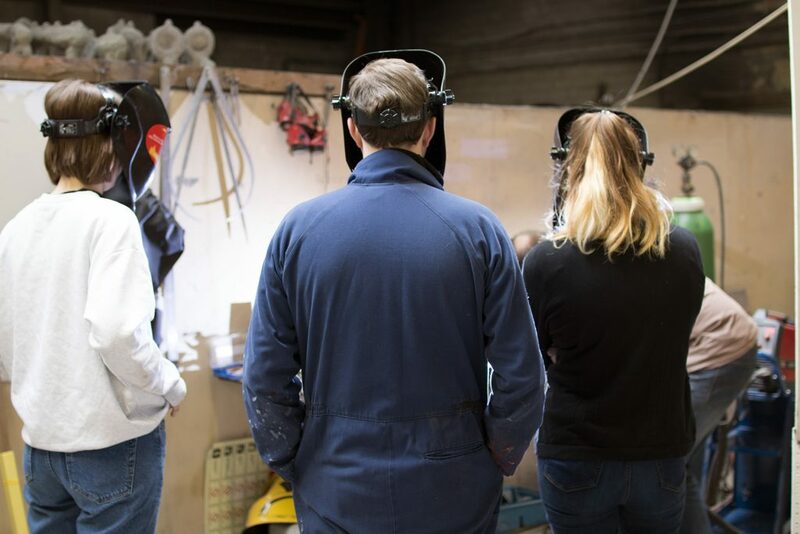 The Sculpture Foundry in Balsall Heath is run by Albert Stone who has been working in casting and mouldmaking for over 45 years. Specialising in lost wax and ceramic shell they fabricate and cast sculpture on a range of scales and have created castings up to 17 feet high.